The month of August saw a flurry of hectic political activity in Sri Lanka. The statement made by controversial minister Ravi Karunayake at the Presidential Commission of inquiry followed by his resignation, the move to postpone Provincial council polls by way of the 20th Constitutional amendment, the revolt within UNP ranks against the conduct of maverick UNP minister Wijeyadasa Rajapakshe and the fast tracking of probes concerning allegations against family members of ex-president Mahinda Rajapaksa along with other issues like the SAITM affair etc have been drawing the attention of the nation at large for the past few weeks. In the midst of all this August excitement, the supreme court of Sri Lanka delivered a landmark judgement of profound importance on August 4th. The three member bench comprising Chief Justice Priyasath Dep, Justice Upali Abeyratne and Justice Anil Goonaratne in a landmark ruling gave a clean chit to the federal form of governance and the chief Tamil political party espousing federalism in Sri Lanka namely the Ilankai Thamil Arasuk Katchi(ITAK) popularly referred to in English as the Federal Party(FP). From the very early years since its inception in December 1949 the ITAK/FP had been accused by its political detractors of being a party attempting to divide the country by espousing Federalism. This has led to the growth of an erroneous impression among many Sri Lankans that Federalism amounts to Separatism . In its long political journey the ITAK/FP found this perception of equating federalism with secessionism a major obstacle in pursuing the objective of power sharing through negotiations. The Supreme court ruling of Aug 4th 2017 however has gone against the grain of this “federalism is separatism” fallacy. The three member SC bench ruled that “advocating for a federal form of government within the existing state could not be considered as advocating separatism.” Furthermore the SC also observed that the Ilankai Thamil Arasuk Katchi(ITAK) was advocating for a federalist form of government by devolving more powers to the provinces within the framework of the existing state. On the basis of this legal opinion the supreme court dismissed the petition filed by Don Chandrasoma of Kelaniya who had sought an order from the Supreme court declaring that the ITAK has as one of its “aims” and “objects” the establishment of a separate state. The case filed on March 27th 2014 by H. K. Don Chandrasoma in the Supreme Court sought a declaration under Article 157A(4) of the Constitution which was introduced by the 6th Constitutional Amendment that the Ilankai Thamil Arasu Kadchi (ITAK) had as one of its aims or objects the establishment of a separate State within the territory of Sri Lanka. 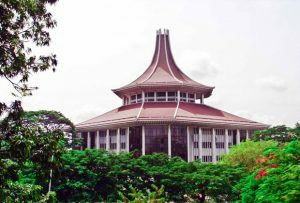 The SC affirmed in its ruling that the ITAK ” does not, support, espouse, promote, finance, encourage or advocate the establishment of a separate state within the territory of Sri Lanka as envisaged under Article 157A of the Constitution”. It is a coincidence of ironic significance that the Supreme court ruling was delivered on August 4th. It was thirty-four years ago on August 4th 1983 after the “Black July” anti-Tamil pogrom that the United National party(UNP) Govt of Junius Richard Jayawardene passed the sixth amendment to the Constitution disavowing separatism in Sri Lanka. It was on the basis of changes made to article 157 of the Constitution by inserting 157 A as a result of the 6th amendment that the petition against the ITAK was filed.34 years later a Supreme court judgement of August 4th has laid to rest the bogey of federalism being depicted as separatism. The landmark judgement was written by Chief justice Priyasath Dep with Justice Upali Abeyratne and Justice Anil Gooneratne concurring.The petitioner was Hikkadu Koralalage Don Chandrasoma of G -16, National Housing Scheme, Polhena, Kelaniya. The petitioner was represented by counsel Dharshan Weerasekera and Madhubashini Rajapaksha. The first respondent was Jaffna district parliamentarian “Maavai” S. Senathirajah. Somasundaram Senathirajah hails from the northern village of Maavissapuram known as “Maavai”. He is generally known as Maavai Senathirajah with the prefix “Maavai” attached to his name. Senathirajah is the president of the Ilankai Thamil Arasuk Katchi which is the chief party within the configuration known as the Tamil National alliance(TNA). The TNA contests polls under the House symbol allocated to the ITAK. 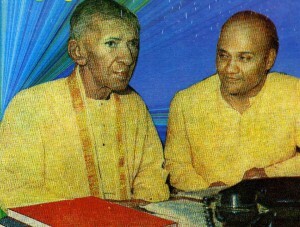 Senathirajah was the secretary of the ITAK with its headquarters in 30 Martin road,Jaffna when the case was filed. Hence he was designated as the first respondent. Subsequently Senathirajah relinquished his secretary post and became President of the ITAK. Eastern provincial minister and lawyer K. Thurairasasingham became secretary of the ITAK. Thereafter the new ITAK secretary Thurairasasingham’s name was substituted in place of “Maavai”Senathirajah as 1st respondent. The other respondents were the commissioner of Elections and the Attorney – General. 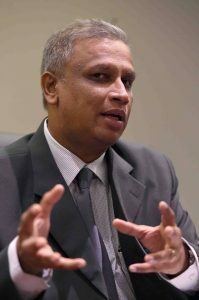 Senior Lawyers K. Kanagiswaran PC and M. A. Sumanthiran PC along with attorneys -at -law Viran Corea and Niran Anketell appeared for the first respondents. Deputy Solicitor-General Nerin Pulle and state counsel Suren Gnanaraj appeared for the A-G. The history of the case in question is quite interesting. 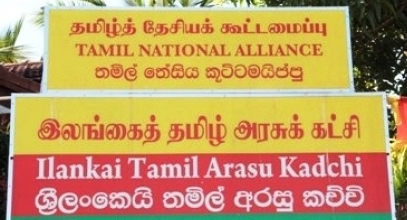 When elections to the Northern provincial council were held for the first time on September 21st 2013 the TNA contesting under the ITAK symbol won 30 of the 38 seats. Retired supreme court judge C. V. Wigneswaran became chief minister. A number of petitions against the ITAK/TNA were filed by different persons. Almost all of them related to complaints about perceived references to separatism in the TNA election manifesto released for the 2013 Northern provincial poll. The chief justice at that time was Mohan Peiris. Taking a cue perhaps from the precedent set by former chief justice Sarath Nanda Silva, Chief Justice Peiris decreed that all the cases must be heard by a bench presided over by the chief justice himself. There were many delays in taking up the cases filed in 2013 as most of them were in the Sinhala language. As such the state was requested to translate the petitions into English. Mr. H.K. Don Chandrasoma’s petition was filed on March 27th 2014(3/2014).The petitioner sought a Supreme Court declaration under Article 157A(4) of the Constitution that the IlankaiThamilArasuKadchi (ITAK) had as one of its aims or objects the establishment of a separate State within the territory of Sri Lanka. The Petitioner Don Chandrasoma was represented by his Counsel DharshanWeerasekera. 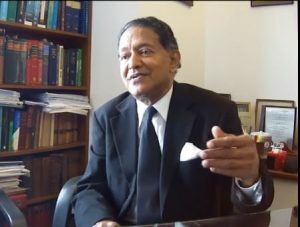 Initially Chandrasoma’s 2014 petition was taken up along with the 2013 petitions by then chief justice Mohan Peiris.However Chandrasoma took up the position that while the 2013 cases were based on the TNA Election Statement of 2013, his case dealt directly with the party Constitution, and therefore his case needed to be taken up separately. The Petitioner based his claim on the basis that a 2008 amendment to the ITAK Constitution sought to replace the word “samashti” which means federalism with “Innaipaatchchi”. The Petitioner claimed that “inaipaatchchi” meant confederal and that advocating confederalism was tantamount to advocating a separate state. The ITAK’s position was that the replacement of “samashti” with “inaipaatchchi” was only one of several such changes replacing the Sanskritized word in the Constitution with pure Tamil alternatives. Both words referred to Federalism or deral only ,it was argued. When the matters concerned were taken up before then chief justice Mohan Peiris, he suggested that the matter could be settled by the ITAK tendering an affidavit disavowing separatism. When the ITAK tendered an affidavit on September 16th 2014 stating that its positions cannot be said to be separatist, the Petitioners stated that they were not satisfied with the Affidavit and requested that the matter be taken up for further hearing. So while the six petitions filed previously in 2013 remained pending the 3/2014 petition filed in March 2014 was taken up before the supreme Court. Meanwhile there was a regime change on Jan 8th 2015 with incumbent president Mahinda Rajapaksa being defeated by President Maithripala Sirisena. Chief Justice Mohan Peiris was removed from office through a controversial procedure on 27th January 2017. His predecessor Shirani Bandaranayake who was impeached wrongfullyy by Parliament in a flagrant travesty of justice on January 13th 2013 was re-instated as chief Justice on Jan 28th 2015. After holding office for a single day in a symbolic gesture, Ms. Bandaranayake quit office on Jan 29th 2017. 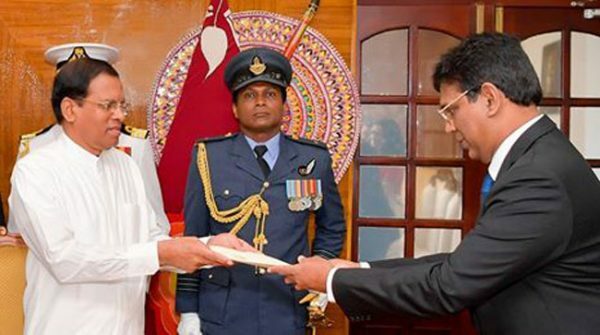 The senior most Supreme court judge Kanagasabapathy Sripavan was sworn in as chief justice on Jan 30th 2015. Chief justice Kanagasabapathy Sripavan did not wish to hear the case due to personal reasons. He recused himself. Thereafter the case was heard by a bench presided over by the next senior most judge Priyasath Dep PC. The other members of the three -member bench were Judges Upali Abeyratne and Anil Gooneratne. The case then proceeded at its own pace subject to the law’s customary delays. Obtaining translations of relevant documents and particulars impeded the pace to some extent. The main arguments by respective counsel was on February 18th 2016. Written submissions were filed on April 18th 2016 and May 3rd 2016 respectively. With Chief justice K. Sripavan retiring, Judge Priyasath Dep became chief justice on March 2nd 2017. The final ruling was delivered on August 4th 2017. Chief Justice Dep wrote the judgement with Justices Abeyratne and Gooneratne concurring. The Supreme Court ruling has been like Manna from heaven to the Ilankai Thamil Arasuk Katchi. With the prickly issue of the party allegedly subscribing to separatist policies being raised in courts, the ITAK had a virtual Damoclean sword of proscription and related penalties hanging over its head. The SC ruling not only eliminated that danger but also vindicated the Party in its adherence to its key policy of promoting a federal form of Government in Sri Lanka. The supreme court judgement had invigorated and strengthened the ITAK by stating unequivocally that advocating Federalism does not amount to espousing separatism. Article 157 A (5) outlined penalties to be imposed upon a party or organization found to be promoting the establishment of a separate state within Sri Lankan territory. (iv) if he is a Member of Parliament or a person in such service or holds such office as is referred to in paragraph (1) of Article 165, cease to be such Member or to be in such service or hold such office. i) A declaration that ITAK is a political party which has as one of its “aims” and “objects” the establishment of a separate State within the territory of Sri Lanka. “The objective of this party is to establish political, economic and cultural liberation among Tamil speaking people by way of forming autonomous Tamil Government and autonomous Muslim Government as part of united federal Sri Lanka in accordance with the principles of self –determination. Note: There will be a full guarantee in regards to Religion, language rights and fundamental rights for the minorities residing in the states which will be connected”. The Petitioner submitted that the amendment replaced the word ‘Federal’ with the word ‘Confederation’. The translation provided by the Petitioner replaced the word ‘Federal’ and inserted the word ‘Confederation’. The Petitioner stated that the replacement of words in Rule 2 by the said amendment to the ITAK Constitution indicated a shift in the “aims” and “objectives” of ITAK. The Petitioner further said that the full statement of the present “aims” and “objectives” of the ITAK, subsequent, to the above amendments, is to establish a separate State within Sri Lanka. The ITAK’s position was that the replacement of “samashti” with “inaipaatchchi” was only one of several such changes replacing the Sanskritized words in the party Constitution with pure Tamil alternatives. Among the Sanskritized words replaced by pure Tamil words were “samashtiy” to “innaipaatchiy” (Federal) “angaththuvam”to “uruppurimai” (membership), “podhu kaariya sabhai” to “podhuchchabai” (General Council), “kaariyatharisi” to “seyalaalar” (Secretary), “thanaathikari” to “porulaalar” (Treasurer) and “visheda” to “sirappu” (special). It was explained that Tamil words in usage of Sanskrit origin were replaced by words of pure Tamil origin. The ITAK submitted that the word ‘Confederacy’ was not substituted in place of ‘federal’ as argued by the petitioner and that both “Samashdi” and “Inaippaatchi” referred to Federal or Federalism. In view of the contrasting positions taken by the Petitioner and the 1st Respondent, the Court called upon the learned Deputy Solicitor General to assist Court and an order was made for the translation of the Tamil documents by the Official Languages Department. The official translation provided by the Official Language Department stated as follows: “Rule 02 Objective: in (a) repealing the word “Samashdi (federation)”and substitution of the word “inaippadchi (federation)”. The translations were filed of record in February 2015. The official languages dept translation tallied with the ITAK claim that both words “Samashdi” and “INaipaatchi” meant the same. When the Application was taken up for hearing before court, the learned Counsel for the Petitioner conceded that the official translation before this court does read “federation” and not “confederation”. It was also the contention of the Counsel for the Petitioner that “federation” and “confederation” meant the same thing though the Counsel for the Petitioner did not pursue this line of argument at the initial stages. The Learned Counsel for the Petitioner at the hearing and in the written submissions based some of his arguments on the Vaddukkottai Resolution passed by the newly formed Tamil United Liberation Front(TULF) on May 14th 1976. which advocated establishment of a separate State. The contention of the Counsel for the Petitioner was that the ITAK has unconditionally and unambiguously endorsed all resolutions of the TULF going back to 14 May 1976. In regard to this submission the 1st Respondent (ITAK secretary) in his written submissions took up the position that the claims to territorial statehood made in the Vaddukkottai Resolution adopted over 40 years ago in 1976, at the 1st National Convention of the Tamil United Liberation Front(TULF) presided by Mr. Chelvanayakam, Q.C., and Member of the TULF and not by ITAK. Amendment to the Constitution and as a result lost their seats in Parliament. From 1983-1988 there were no Tamil representatives from North and Eastern Province in Parliament, District Councils and local bodies’. ‘It was further submitted on behalf of the ITAK that this situation however changed with the enactment of the Thirteenth Amendment to the Constitution and that several Members who lost their seats in Parliament returned to Parliament after subscribing to the oath prescribed by the Sixth Amendment to the Constitution and that every single sixteen (16) Members belonging to ITAK in the current Parliament have subscribed to the oath prescribed by the Sixth Amendment and also that several who were Members of Parliament on previous occasions have also subscribed to the oath several times’. “ I ………………………………………………………………..do solemnly declare and affirm/swear that I will uphold and defend the Constitution of the Democratic Socialist Republic of Sri Lanka and that I will not, directly or indirectly, in or outside Sri Lanka, support, espouse, promote, finance, encourage or advocate the establishment of a separate State within the territory of Sri Lanka”. 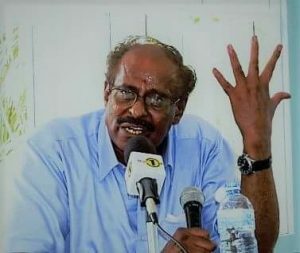 “The 1st Respondent “Mavai”Somasunderam Senathiraja, then General Secretary and current President of the ITAK in his affidavit dated 16th September 2014 tendered in this case stated under oath that “it is axiomatic that neither the ITAK nor the Tamil National Alliance can be said to have as its aims and/or objects the establishment of a separate State within the territory of Sri Lanka”. This indicates that the ITAK no longer supporting or advocating the establishment of a separate state”. Counsel for the ITAK responded thus ” the fact that it is “peoples” who are repositories under international law for the right to self – determination and thus the ITAK holds that the Tamil people are a “people” in terms of the above international covenants, and therefore, it is axiomatic that the Tamil people are also entitled to the right to self-determination”. The lawyers representing the ITAK submitted that ” it is clear that the right to self-determination has an internal dimension, in that it could be exercised within the country to the benefit of a “people” inside the country. Thus, the invocation of self-determination does not amount to a demand for a separate State, as the right is sometimes to be used internally within the territory of an existing State”. The crux of the petitioner’s argument was that the ITAK had supported the Vaddukoddai Resolution, and that this combined with its position that the Tamil people were entitled to the right to self-determination demonstrated that it had as one of its aims or objects the establishment of a separate state. The ITAK in its response claimed that self-determination could be exercised within a state, citing judgments from the International Court of Justice and the Canadian Supreme Court. The ITAK also claimed citing its Election Manifestos and Statements that it stood for federalism within a united and undivided Sri Lanka. * It was clear the ITAK did not have as its aims or objects the demand for a separate state. In essence the Supreme court judgement de-mystified the fallacies surrounding Federalism and strengthened the right to advocate federalism as a form of Government through legitimate democratic processes. It may also have invigorated the political determination of the Ilankai Thamil Arasuk Katchi(ITAK) to pursue its 68 year old goal of a power sharing arrangement based on the Federal idea more enthusiastically in the near future. Obviously anyone with a modicum of common sense and a basic awareness of the federal idea would know that federalism is not and does not amount to separatism. Unfortunately the course been one whereof majoritarian politics in Ceylon/Sri Lanka had been one where a vast number of people had been made to believe that Federalism was tantamount to separatism. The fact that a federal form of government had been advocated by a Tamil political party further strenghthened this erroneous belief. Matters got further complicated when the ITAK/FP became the chief constituent of the Tamil United Liberation Front(TULF)in 1976 and contested the 1977 polls on a separatist platform. The lines between federalism and secessionism got further blurred. The August judgement of August 4th 2017 has now laid to rest the bogey of “federalism is separatism” in legalistic terms. The larger political question however remains. The challenge faced by proponents of federalism is to convincingly propagate the truth about federalism not being separatism to the people of Sri Lanka in general and the Sinhala people in particular. The August 4th ruling in that sense will provide an impetus to the ITAK in its negotiations and discussions within the Constitutional Assembly engaged in the task of formulating a new Constitution. More importantly the landmatrk judgement will also enable all those supportive of the federal idea to advocate those convictions freely without fear of being branded separatists. “It is established that there is a clear distinction between words ‘federation’ and ‘confederation’. The main issue in this case is whether advocating the establishment of a federal state is tantamount to establishment of a separate state. It is relevant to consider the manner the federal states were formed in various parts of the world. United States of America, Australia and Switzerland are federal states. Thirteen States which were former colonies of the Great Britain joined to establish United States of America. The reason for uniting under one state is to promote trade and to ensure the security of the States. Six States in Australia in fear of pacific powers united to establish a federal state. In order to remove linguistic and regional differences Swiss federation was formed. Great Britain, France and Italy are examples of unitary states”. “The labelling of states as unitary and federal sometimes may be misleading. There could be unitary states with features or attributes of a federal state and vice versa. In a unitary state if more powers are given to the units it could be considered as a federal state. Similarly in a federal state if the centre is powerful and the power is concentrated in the centre it could be considered as a unitary state. Therefore sharing of sovereignty, devolution of power and decentralization will pave the way for a federal form of government within a unitary state’. “The Thirteen Amendment to the Constitution devolved powers on the provinces. The ITAK is advocating for a federalist form of government by devolving more powers to the provinces within the framework of a unitary state. Advocating for a federal form of government within the existing state could not be considered as advocating separatism”. “It is established that the ITAK supports or advocates the establishment of a federal State within united Sri Lanka. It does not , support, espouse, promote, finance, encourage or advocate the establishment of a separate State within the territory of Sri Lanka as envisaged under Article 157A of the Constitution. Therefore Petitioner is not entitle to a declaration under Article 157A (4) of the Constitution. Application dismissed. No Costs”. « Current First Lady Can Be Sued for Distributing “Sil Redi” along With President Sirisena says Ex-President Mahinda Rajapaksa.